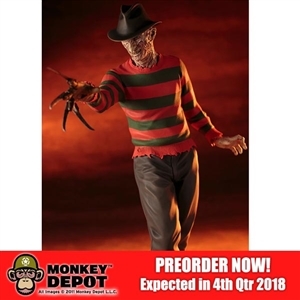 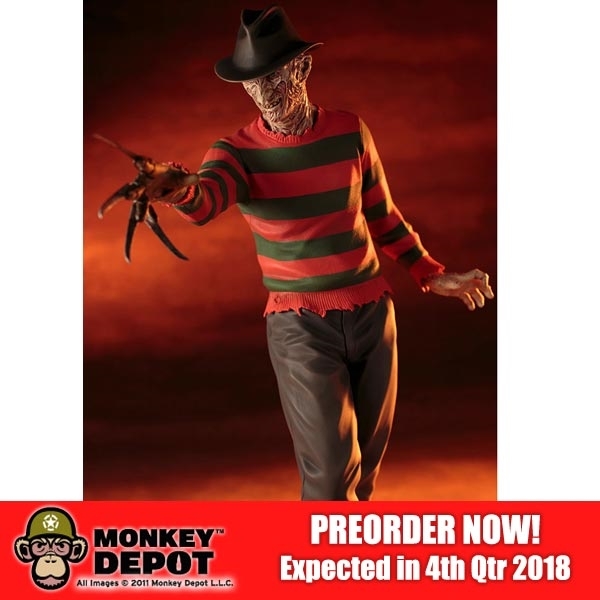 The classic villain from the Nightmare on Elm Street franchise, Freddy Krueger is joining Kotobukiya’s ARTFX lineup! 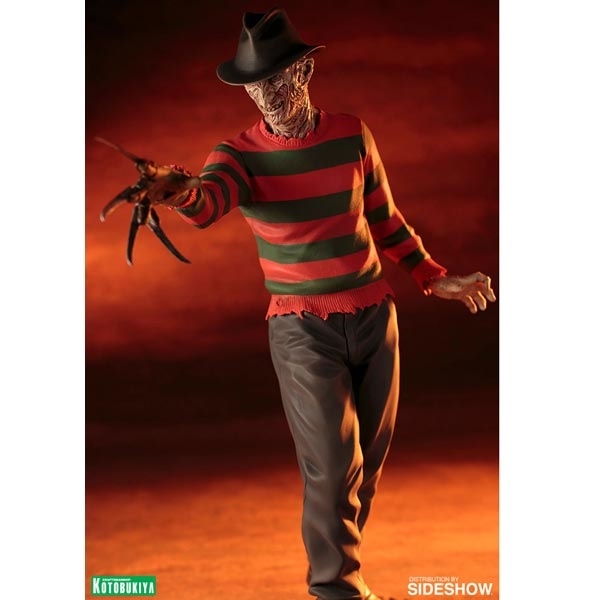 Expertly sculpted by Naoya Muto and painted by Franken, this Sixth scale ARTFX statue is modeled after Freddy’s appearance from A Nightmare on Elm Street 4: The Dream Master. 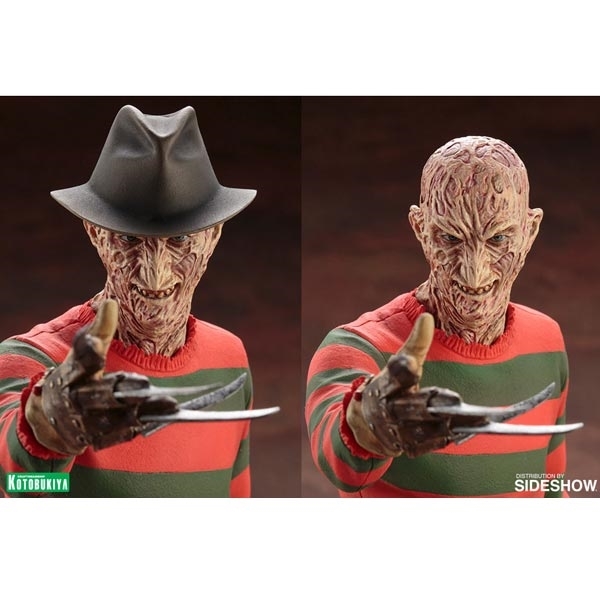 The subtle details in Freddy’s wicked smile and posture portray his twisted character. 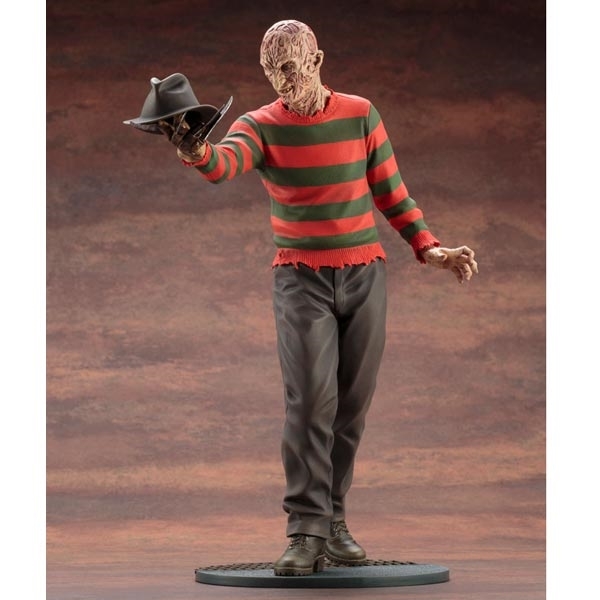 His signature fedora is removable, and the angle of his hands can be adjusted, allowing you to create a variety of poses.